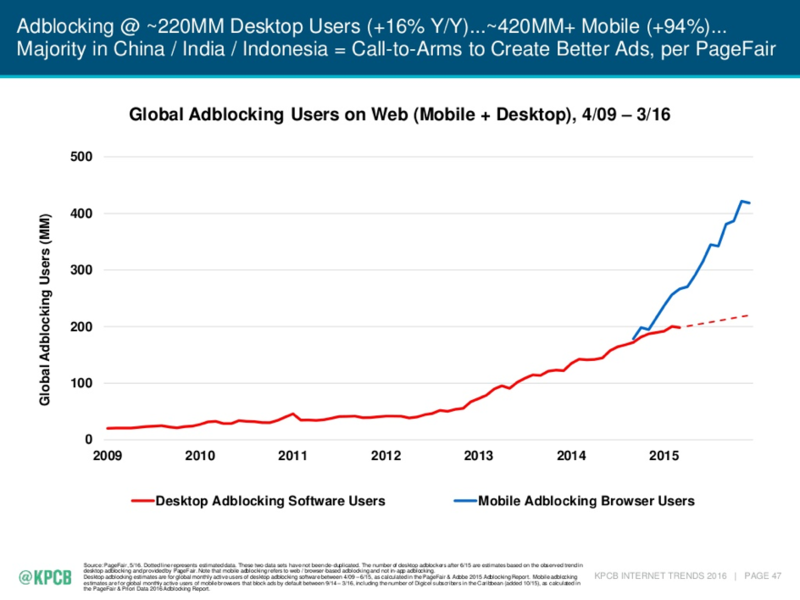 Mary Meeker’s Internet Trends Report is one of the tech industry’s most highly anticipated annual presentations, summarizing the development of the online world and how it will impact marketing. 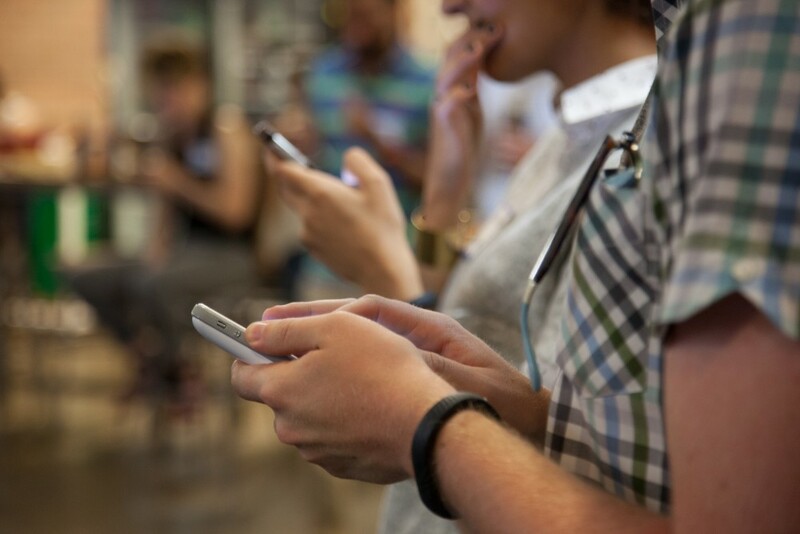 How will this year’s trends affect destination marketers? We sent the 2016 Report (all 213 slides’ worth, or watch the video for a fly by) around the Destination Think! offices to get our strategists’ insight. They dove into the facts and trends to find out how the ever-changing internet might influence destination marketing organizations (DMOs), with topics including hyper-targeting, ad effectiveness, product development, Snapchat, live video and the true meaning of content. The report also mentions that brands are taking advantage of online advertising tools that now allow for hyper-targeted, intent-based marketing with the potential for a more measurable impact. As the CEO of the “Combatant Gentlemen” clothing brand said, “every $100 we spent on Facebook was worth more than $1,000 in sales. For us, it was a simple math equation.” (slide 67) While DMOs aren’t typically selling direct, matching the product to a finely tuned market is really the point here. Yes, it goes all the way down to the product. The same slide points to Stance, the sock company that created a product collection based on the data they collected. The equivalent for a destination would be, “Hey, we’re getting a lot of kitesurfers here. And what do kitesurfers want? They want a greasy spoon diner. Let’s see if we can open one of those. Or, all our cafes are closed at 6 – let’s keep them open for a bit longer.” So you look at the data and what’s happening, whether it’s online or offline, and make product decisions based on that. It’s the same thing with fashion retailer Stitch Fix (slide 68) – they send you stuff and then you can send it back – all with the purpose of learning and refining, because the data is all there. Speaking of interactions, one of the stats that stands out to me is that 91% of internet users have considered using ad blockers, while 81% mute video ads that they find irrelevant. (slide 47) This could be a huge problem for online travel agencies (OTAs) and DMOs that use booking software or conversion tools that rely on users seeing these ads. But even ads that drive traffic to inspirational content are under attack here. The pop-up, the in-feed and pre-roll are irritating more and more people. In her presentation, Mary says: “If there has ever been a call to arms to create better ads, this is it.” Well, you could also answer the call by creating meaningful content. Native advertising is increasingly becoming popular and I believe it is likely to continue growing as ad blocker usage increases. You can also do a lot through creative, quality storytelling. By optimizing content, DMOs can iterate to earn incremental gains by using the right images and the right tone of voice, instead of outdated SEO tactics. Advertisers have to tailor it to how the user uses Snapchat. I think the best example of that is the geo-targeted filters. Brands can purchase these filters that will appear as an option for users to use on their photos before they share them. Because Snapchat authentically adopts destinations through geo-targeting, there’s a massive opportunity for DMOs within that space. If millennials are about to become the leading spending power, (slide 59) it makes sense to invest in this platform now and gain trust there, as opposed to doing it later when everyone else is. Although marketing channels are changing and online platforms are growing in importance, nothing beats human interaction. Communicating about your product experience will, more than ever, involve mixing off- and online word of mouth. Campaigns will remain important as a conversation starter, but not as the whole conversation itself. To paraphrase Marshall McLuhan, “the more media we get, the more important the message becomes.” The media won’t replace the message itself – on the contrary, it will grow in importance. Another related point stuck out to me – slide 74 points out the trend that millennials communicate with text while gen Z tends to communicate with images. Beyond posting beautiful images of their destination’s scenery, DMOs need to start to learn to communicate things visually. 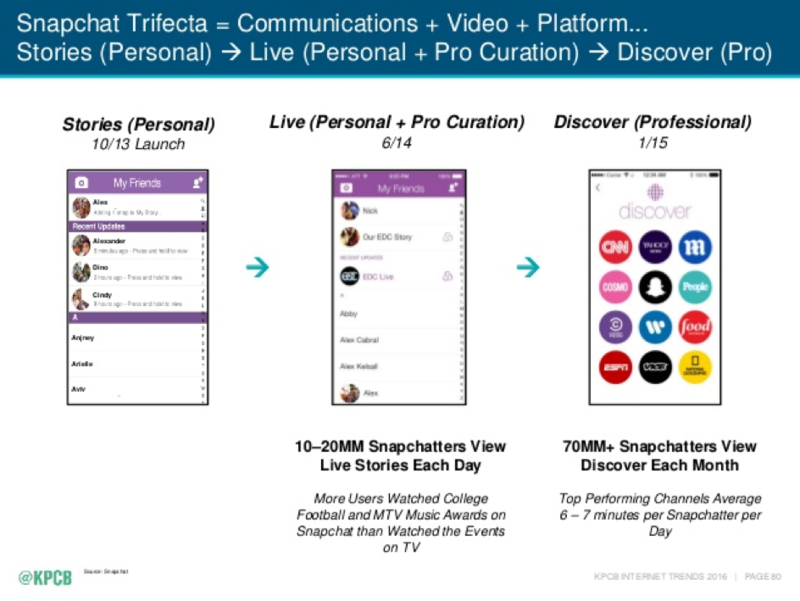 They can then combine that with the evolution in video viewing: “live -> on-demand -> semi-live -> real-live.” (slide 75) This is where services like Periscope and Facebook Live are taking us. I think too many people will look at this report and say “How do we do things better digitally?”, but DMOs need to start thinking, “How do we use these principles to make our destination better on the ground?”, because that’s ultimately what’s it’s all going to be about in the future. You need to apply some of these principles on the ground and not just in digital. So, given this “real-live video”, I think a lot of destinations will become more like instant reporters of what’s going on. In the past, destinations could say, “Okay, we have some pictures from five years ago. We’re going to make some billboards and visitors are going to look at them and we’re also going to write in Lonely Planet and people are going to carry those around for the next five years. But in the future, communication is going to be a lot more real, real time.